Hal Campbell received a doctorate from BYU then spent his career teaching in Wyoming and Southern Utah. 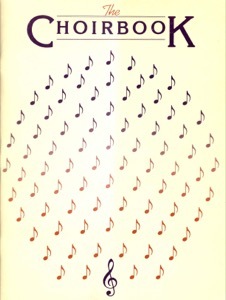 In addition to the hymn arrangements he wrote, Campbell also has two songs in the Children’s Songbook (“The Sacred Grove” and “The Priesthood Is Restored”). Campbell’s arrangement of “The Morning Breaks” is one of the easiest to obtain as well as being within the reach of many LDS choirs. His version of the hymn opens the LDS Choirbook. 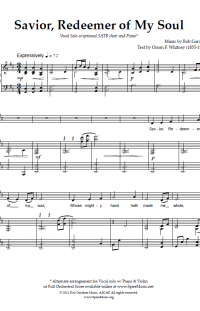 The choral parts have the same ranges as the hymn book version of the hymn, but Campbell’s arrangement has dozens of delightful harmonic details that add a unpretentious expressiveness to the hymn. The choral writing is a little harder than what’s in the hymn book, because of the occasional chromaticism Campbell introduces. That said, it’s within the reach of most ward choirs and the choir parts are almost always doubled with the piano anyway. The piano part also isn’t difficult. If your pianist can play from the hymns just fine, he or she should have no problem playing this accompaniment either. For those looking to perform a good arrangement of this hymn, Campbell’s version would work well in both ward choir and stake conference settings. The bonus is that by using the LDS Choirbooks, you also have 24 other songs that are worth singing with your choir. 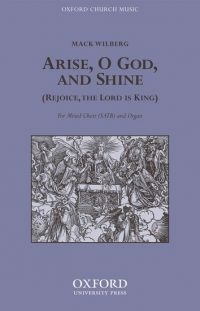 For a full survey of arrangements of “The Morning Breaks,” visit sacredmusic.josephsowa.com.